Sometimes you start a project with one idea in mind and then someone introduces a twist and you go in a completely different direction. This happened with my beekeeper's quilt after I read Jen's lovely post about the sky scarf. You might remember that I began knitting my hexipuffs in a purple/red self-striping sock yarn, but I'm not thrilled with the thinness of the yarn for this project, and I couldn't stop thinking about Jen's sky scarf. Then a lightbulb went on over my head. I should knit a sky-color inspired beekeeper's quilt! I clicked on my Ravelry stash page, searched by color (I didn't even know I could do that! ), and voila, I discovered that I have a fair number of yarns in the blue family. Not only that, these yarns are dk and worsted weight which I prefer for the quilt. The purple/red hexipuffs will be put away for now (perhaps I'll use these towards a hexipuff pillow one day), and my Long Journey quilt will now be nick-named Skyfall. What I'm reading: I'm sad to say that I just finished Luisa Weiss' food memoir, My Berlin Kitchen: A Love Story (with Recipes). Sad because I really didn't want it to end. The writer of The Wednesday Chef blog, Weiss has a beautiful writing style that draws her reader in. Throughout her telling of heartache, homesickness, love, and joy, Weiss shares recipes that are irresistible. I'm not sure which one I want to try first: the silky buttermilk panna cotta, the oh-so-pretty poppy seed whirligig buns, or the savory meatballs in chipotle sauce. This is another must-read for any of you, even if you're not a huge reader of food memoirs ... My Berlin Kitchen will take you around the world. Thanks to all who commented. 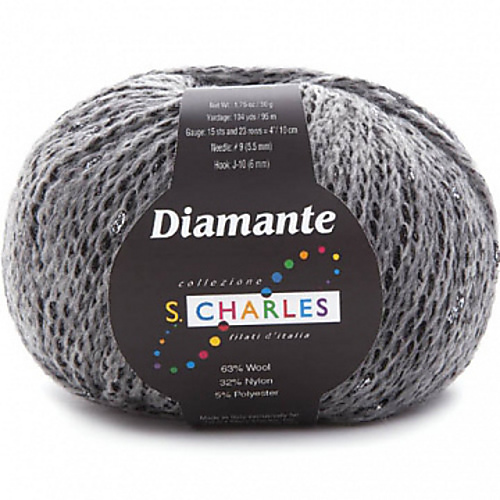 This week, I'm offering one skein of S. Charles' Diamante in a lovely smokey grey. At 104 yards, this skein can easily be knit up into a sweet beanie or a pair of fingerless mitts. Other suggestions anyone? Thank you so much Evelyn for the beautiful yarn, I'm thinking a hat! I have wanted to read My Berlin Kitchen and I am glad to hear it's as good as I thought it would be, now I need to order it! That books sounds like a good read, I think I'll add it to my list. And the sky blue blankets just sounds like it will be so much fun! I imagine this yarn would be perfect for the delicate texture of Susie's Reading Mitts. The grey yarn? Definitely a hat! I have seen many hexipuffs from different bloggers since joining Yarn Along; one day, I'll probably start that project too. I, too, seem to knit with lots of blues. I can't wait to watch your blanket unfold on Ravelry :). I imagine this lovely yarn knit into a pair of mitts! We are having some very cold weather here this winter and, although I knit several pair of fingerless gloves for Christmas gifts, I don't have any fingerless gloves or mitts for myself!! Yes, plans can change.....right now I'm thinking of casting on another pair of socks..I got a kit at Stitches for red heart socks....may need to cast those on today! I'm so in love with Boot Toppers lately. They are quick, do not require too much yarn, good for destashing and loved by teenagers. One skein is perfect. The little puffs are so cute! I have never seen those before... must investigate! I have heard of My Berlin Kitchen and was intrigued. Adding it to my reading list per your recommendation. I'm totally into conceptual knitting right now and love your idea of a sky blanket! I can't wait to see how it progresses. However, I do enjoy knitting them, such lovelies to store in a vase. CONGRATS TO TRACEY, a nice gal who will knit something wonderful with her win! I can see a pair of fingerless mitts in the smokey gray color, too. I read about My Berlin Kitchen this fast fall on the Food In Jars blog...she mentioned the baked plum butter from the book and talked about how she made a similar recipe. Dee-lish. Now I'll have to add the book to my list as well. Because of you I added My Berlin Kitchen on my Goodreads list. 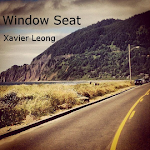 Now I am really look forward to it, thank you for the review. Oh and that grey is fantastic! I think it would be a beautiful Jane Richmond hat. Wait, you can search stash by color?! Just when I think I know everything about Ravelry. I think that the sky blanket is an amazing idea! You are sure to have twice the fun! Oh I love the idea of a colour themed blanket, AND in heavier weight! I saw some great chair cushions made with hexis, maybe you could use your first ones for something similar! You sound so organized! Just thinking about putting my stash on ravelry makes me a bit dizzy... :) And what a great book recommendation - this one is definitely going on my list! Everyone is doing the hexipuff blankets, it's making me want to make one, too! skyfall sounds so lovely. congratulations tracey! That yarn looks perfect for a hat! Congratulations to Tracey!! I can't wait to see what she knits up with it! Yay for sky blankets! I've been very good at taking a picture of the sky each day but have very very little sky colors in my stash. Considering blues are my favorite color I'm not sure what's up with that! I love your idea of a sky color inspired Beekeeper's Quilt! Awesome! The Wednesday Chef is one of my favorite food blogs. Her writing style is so personal and fun to read. I love your Beekeepers puffs! Colour is right up my alley! Oooh, I love the new quilt inspiration, I feel like with Beekeeper and Color Affection, seeing everyone's projects makes me indecisive because I want to make them all. And I think that's a perfect gray to make a beanie with the cable owls around the 'brim'! That memoir sounds inspirational. I think I've only read one and that was eat, pray, love which really spoke to me.